Vehicle-Mount Standard SNG Antennas are more precise and robust than mobile broadband antennas. Used for high data rates using high power amplifiers (HPA), they can be mounted on vehicles ranging from a medium SUV to a large box truck. 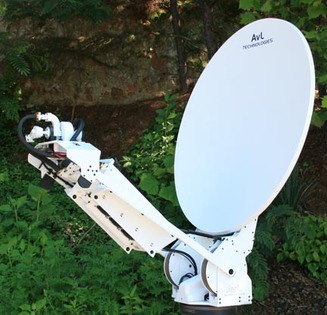 AvL antennas interface easily with all RF systems and are compliant with FCC and Intelsat requirements for 2° spacing as well as optional models for meeting Eutelsat and Asiasat criteria.